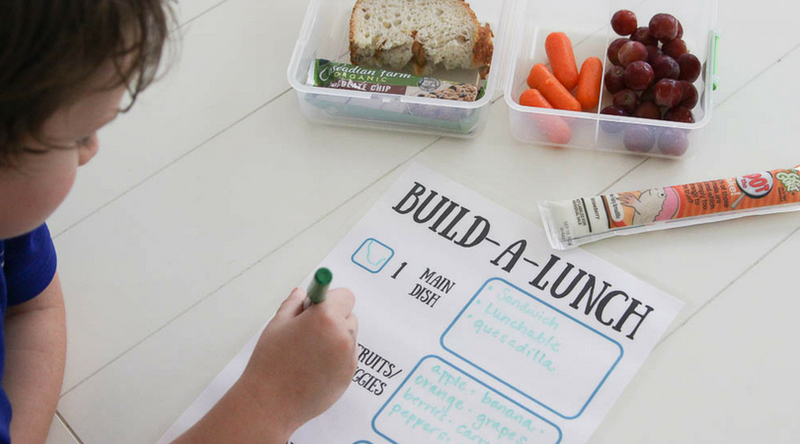 Send your kid off to kindergarten right with these easy lunch ideas. 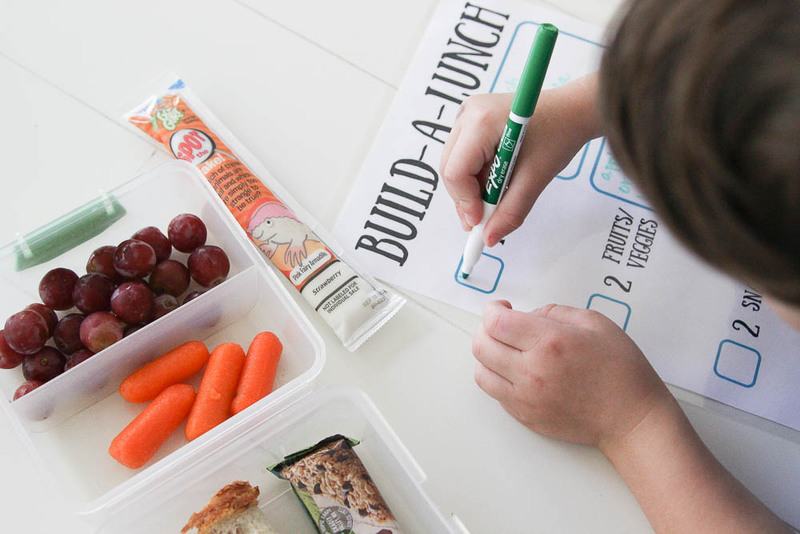 The build-a-lunch printable makes it easy for your kindergartener to pack his own lunch too! 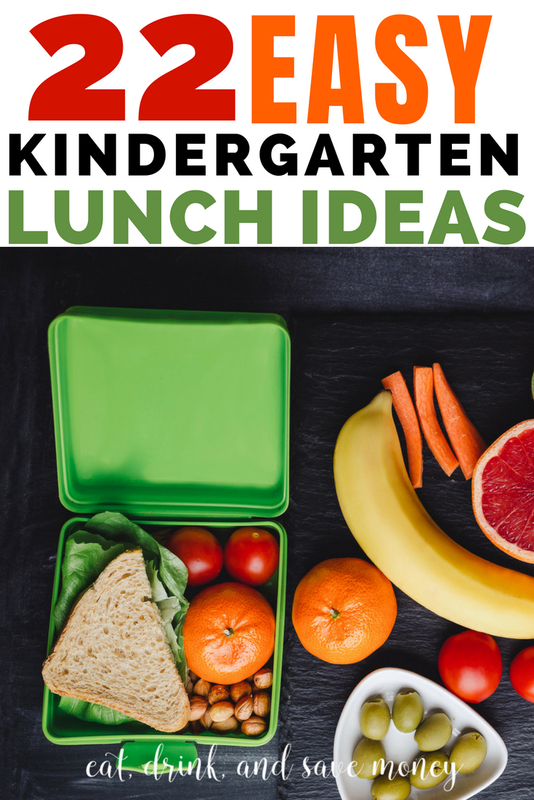 My oldest starts kindergarten this fall and I’ve been frantically searching for easy kindergarten lunch ideas. Pinterest if full of fancy schmancy school lunch ideas that I’ll never get around to trying. Seriously, who really has the time to make fruits and vegetables look like butterflies? I think easy school lunches should be the norm! 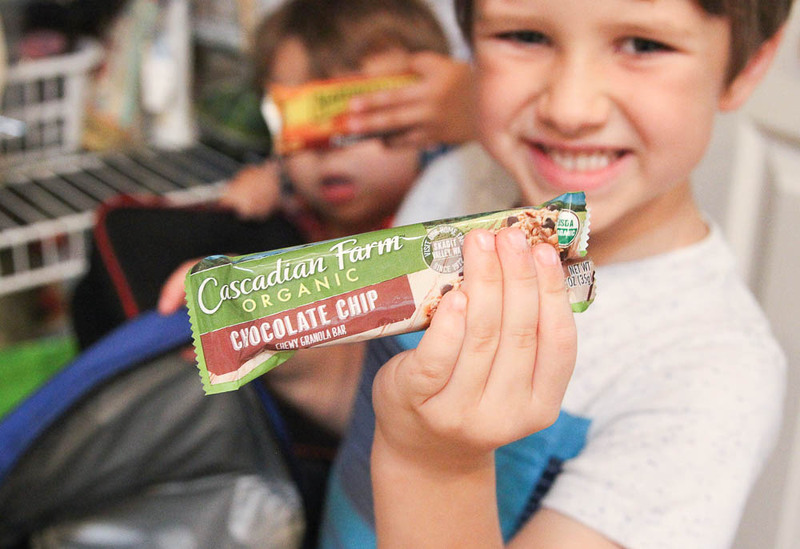 Since I’m all about simple living I figured I should share my favorite easy school lunch ideas that will make back to school season a breeze. 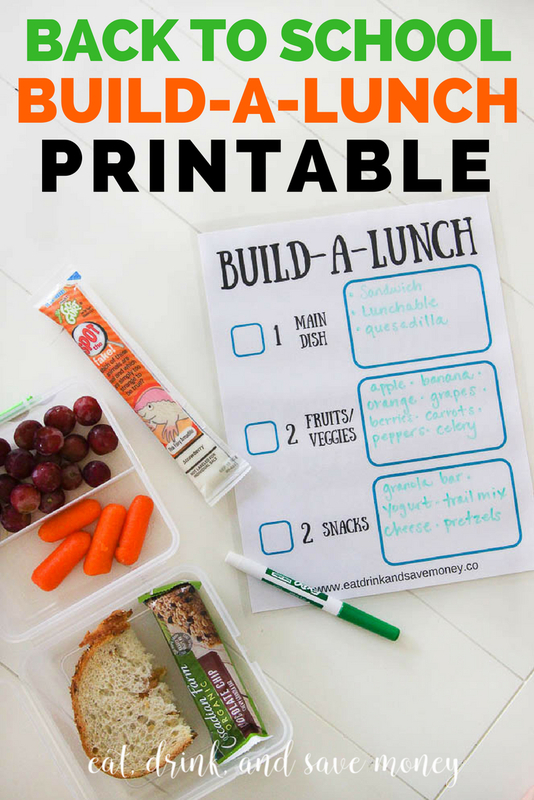 The best part about this post is that I made a printable that will help your little ones make their own school lunches. Laminate it and write in the options you have that week. Then let your kids check off each item as they add them to their lunchbox. Right now until 9/15, you can save up to $15 with Back-to-School digital coupon savings on brands you love, like Big G & Cascadian Farm Cereal, Nature Valley Snacks and Yoplait GoGurt Yogurt! Visit ReadyPlanSave.com to clip the coupons for General Mills products. 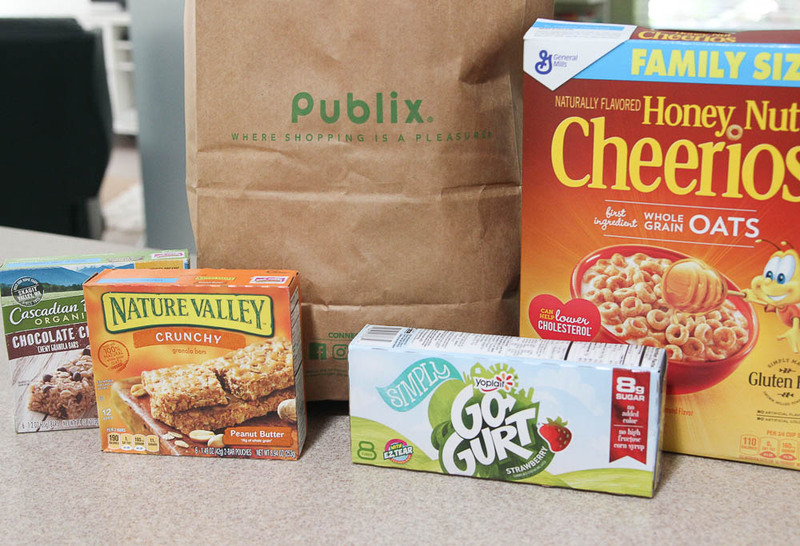 Save your clipped coupons directly to your Publix Digital Coupon Member ID (Phone Number) to save instantly at checkout. Browse, clip and save today! Clip as many General Mills coupons as you’d like and you can save up to $15! I bought 4 different products and saved close to $4- enough for me to not feel guilty the next time I pick up coffee. I bought YoplaitGoGurt, Honey Nut Cheerios, Cascadian Farm Organic Granola Bars, and Nature Valley Crunch Granola Bars. Alright, onto what to pack for kindergarten lunch! The main thing you should remember with kindergarteners is that school lunches should be familiar to them. This is not the time to introduce new foods, even if you want to introduce healthy lunch ideas. Pack foods you know they already love. Then ask them what their friends bring for lunch. Peer pressure is always a good way to get kids to eat healthy lunches. I always get good ideas from asking that question. My boys love eating carrots for lunch solely because they saw another kid in preschool eating them! 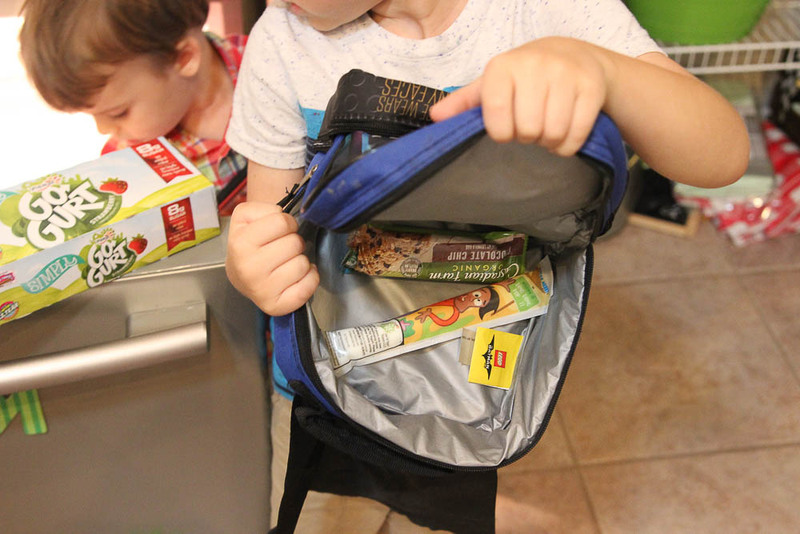 Another tip is to spend some time teaching your kindergartener how to open the snacks you are sending for lunch. For example, do a few mock lunches at home and teach them how to open granola bars and YoplaitGoGurt tubes. 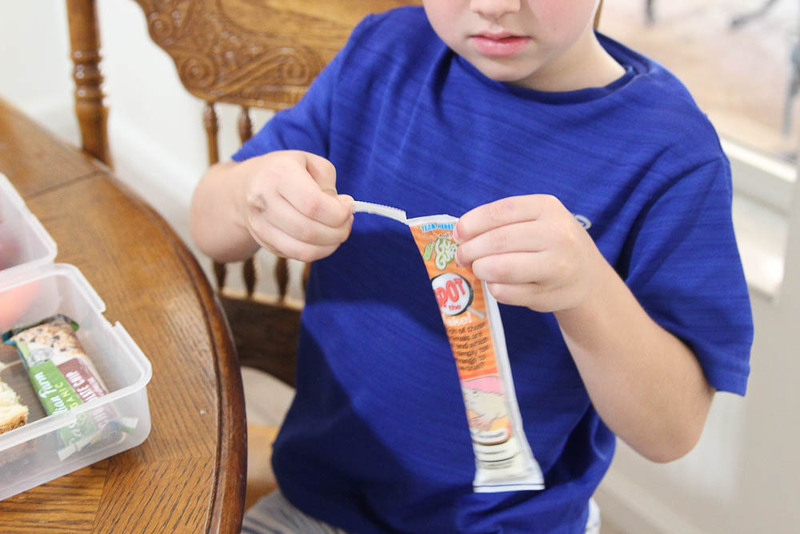 Check out this easy hack for opening Yoplait GoGurt. 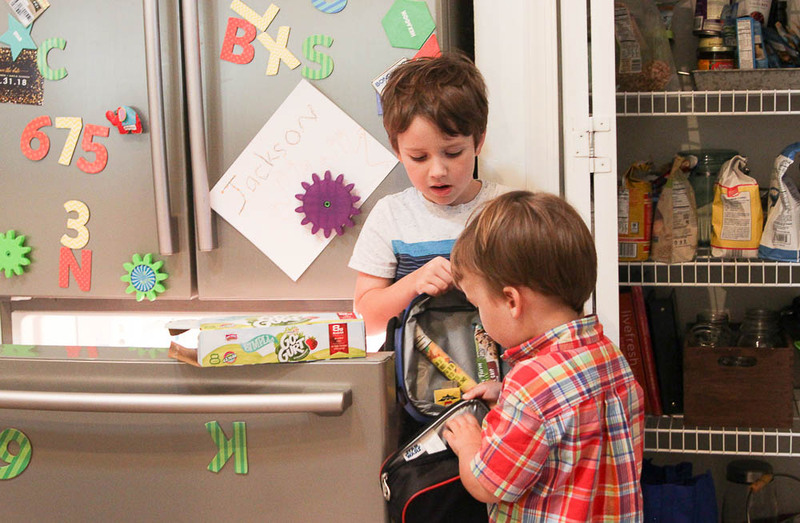 Another way to make school lunches easy is to empower your kindergartener to help pack lunches. 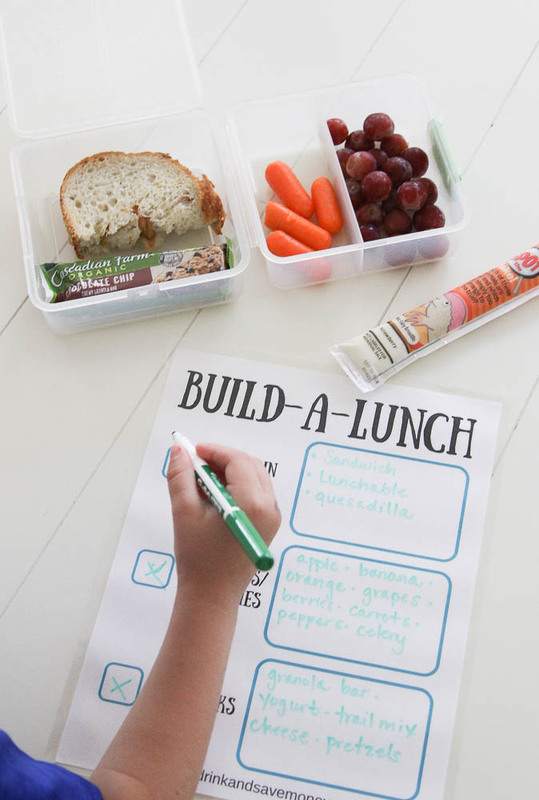 Do this by setting lunch and snack items at an low level and giving them a check list for packing lunches. Our kindergartener is still learning to read so I may have to help him at the beginning of the year. I made this printable blank on purpose because I was tired of all the printables that had too many options. This way you can add easy lunch ideas that you actually have in your home! It won’t confuse your kids since you choose what to write on the printable. You can either print a new one each week and write directly on the paper, or laminate it and write with a dry erase marker in order to use it over and over again. We put Nature Valley granola bars on the bottom shelf of the pantry. The YoplaitGoGurt goes in the freezer so it will still be cold by lunch time. Don’t forget to get your General Mills coupons here! It’s simple: just Browse, Clip and Save! 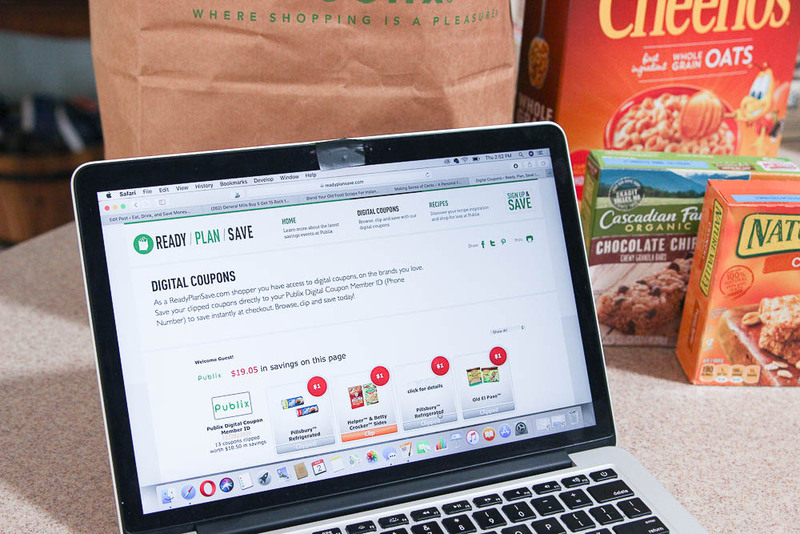 Clip digital coupons on your Publix account and be sure to enter your phone number at checkout before 9/15 to save up to $15! Do you have a great back to school lunch idea? If so, let me know! 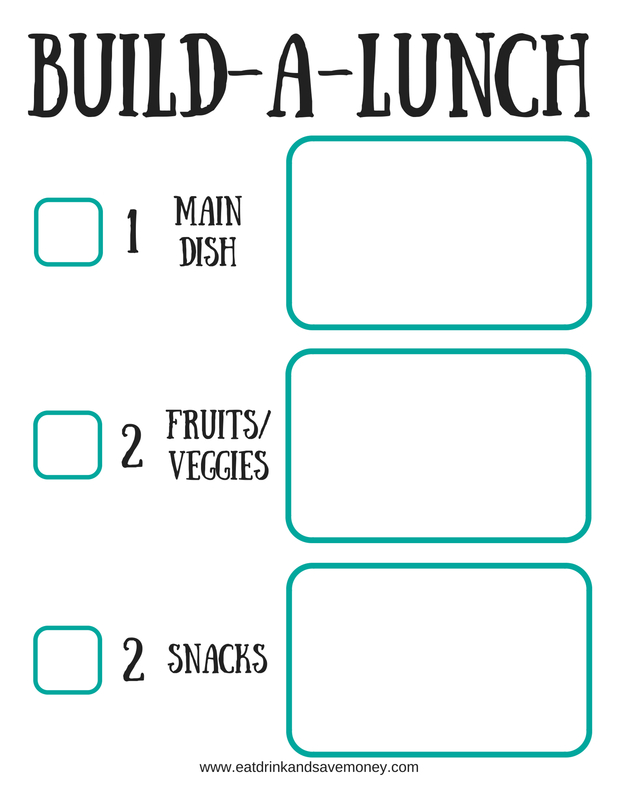 Make sure to use #EatDrinkAndSaveMoney on social media if you use the build-a-lunch printable. Yes, this came way too fast! I’m sad just thinking about how quickly the next five years will go. We need to stock up too! My girls LOVE Honey Nut Cheerios and Gogurt! Mine too! They get so excited about GoGurt! Thanks! I like the option to change it up weekly! great idea… shared to my fb page!